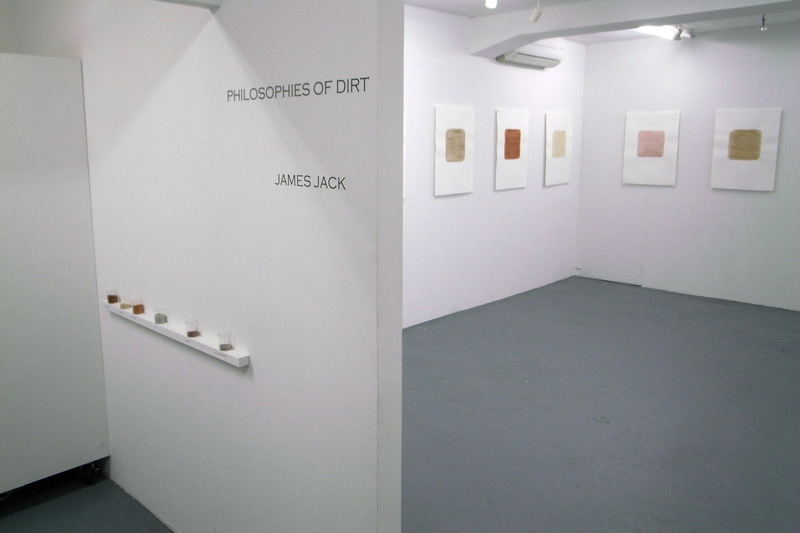 A unique 58 page full-color catalog Philosophies of Dirt featuring a selection of James Jack’s work with an essay by Brandon Shimoda (in both Japanese and English) is available for purchase. Please inquire about ordering a copy of this catalog while it is still available by filling out the contact info HERE. This series is based on intimate relationships the artist has developed with forty-six sites ranging from one edge of the Pacific in Oregon to the other side of the Pacific in Hokkaido. In each of these sites James Jack has engaged with local stories and developed relationships with the environment relationships with the environment utilizing a place-specific approach borrowing a sample of the land. Standing in sites such as just outside the Pearl Harbor memorial on O‘ahu, Jack is deeply affected by paradoxes in the cultural, social, political, personal and geographic history of each site. Nature is often assumed to refer to the natural environment limited to trees, mountains and soil. But Asian-American Art Center in New York City director Robert Lee states, “James Jack is the other side of the coin, not an Asian American but an American Asian story. This can be said to be an American trend of thought for whom Nature is a friend, deeply mysterious yet intimate, without impulse to exploit, conquer or fear.” Pondering the indirect surroundings for the work, such as where the artwork comes from and where it goes can initiate the process of linking artworks to a wider environment. 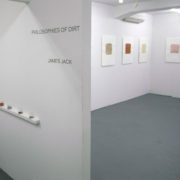 Jack states, “I make new artworks that emerge from this gap composed of conflicting social histories, ecological trauma, rich stories and other indirect factors.” Furthermore the artist has found methods of relating to this contingent site that do not express, but actually contain these deep relationships to the environment. Artist James JACK (b. 1979) is currently pursuing a doctorate at Tokyo University of Arts in Studio Art. While pursuing his Master’s degree at University of Hawai‘i, he was awarded the prestigious Crown Prince Akihito Scholarship to pursue artistic research in Tokyo from 2008-2010. Solo exhibitions of his work have been held at TAMA Gallery in New York City, Beppu-Wiarda Gallery in Portland Oregon and the Honolulu Museum of Art. Selected group exhibitions include The Persistence of Line at Kentler Drawing Center in New York City, Yokohama Boogie at ZAIM in Yokohama, Art & Ecology at the Portland Art Center as well as an upcoming work that will be featured in the Setouchi International Art Festival in 2013. He is also an accomplished art writer who has published interviews with Byron Kim, Shigeo Anzaï, Shingo Francis and Rei Naito as well as contributing to exhibition catalogs on Mono-ha, Yoshihiro Suda and Enokura Kōji. His numerous art awards include the Annie Wong Arts Foundation in Hong Kong, Fulbright Foundation and the Japan Foundation.